Are you ready to increase your revenue and your next charity fundraising event? If so, you have found the right place to help you succeed in reaching your goals. The hobby of collecting sports memorabilia and/or collectibles has increased drastically over the last few years. Because of this phenomenon, autographed sports memorabilia has become a hot item at charity fundraising events. AAA Sports Memorabilia LLC has created a special program to assist you in raising funds for your charity organization or fund raising event. AAA Sports Memorabilia LLC has taken out the hassle and finanical risks for your organization. We offer quality guaranteed autographed sports memorabilia from the major authenticators such as Steiner Sports, Upper Deck Authenticated, Mounted Memories, Tri-Star Productions, Real Deal, Athletic Promotional Evens, Hollywood Collectibles, Ironclad Authentics, and more. We have close relatioships with these manufacturers and are able to offer these items at prices well below suggested retail, so your charity will earn more money. Our items are guaranteed for life to be authentic. NO risk to your organization! Enormous selecton of certified, guaranteed authentic autographed sprots memorabilia from all major professional sports (including the NFL, MLB, NBA, PGA, NHL, NASCAR, Boxing, and more)! We have the finest collection of autographed sports/Hollywood memorabilia around for silent and live auctions. All items will be delivered to your site so bidder can view the item during the bidding process and take their new item home immediately! Receive you items on "consignment". 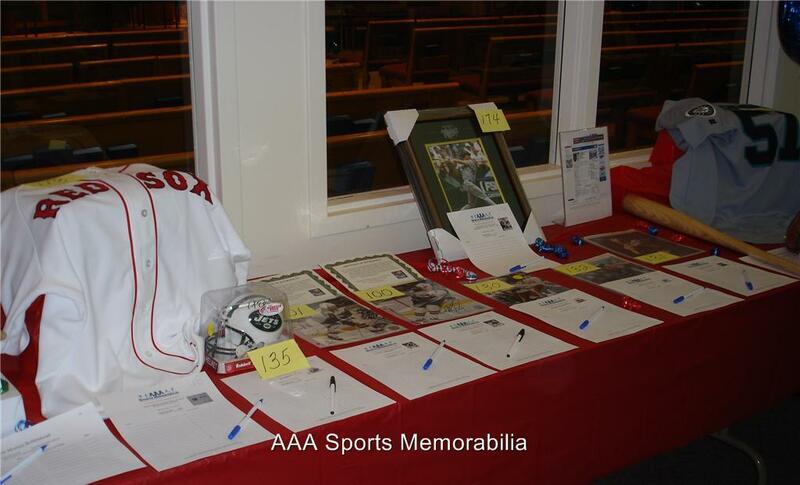 AAA Sports Memorabilia LLC will send you autographed memorabilia that you can use for a silent or live auction and we also provide the bid sheets. After the item sells at your fundraising event, your organization will receive s sizable portion of the proceeds. If the item does not receive a bid, then the item is returned to us at no charge to your organization. 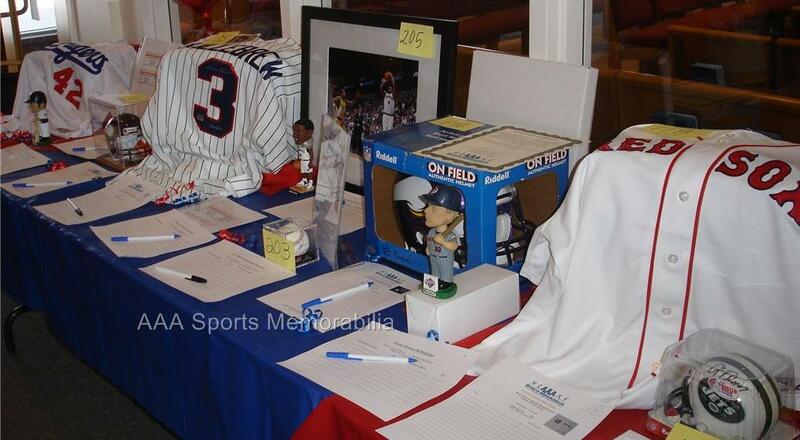 If your organization or fund raising event is within the Twin Cities (Minneapolis / St. Paul, MN) area, a representative from AAA Sports Memorabilia LLC will hand deliver your items and assist during the auction if needed. 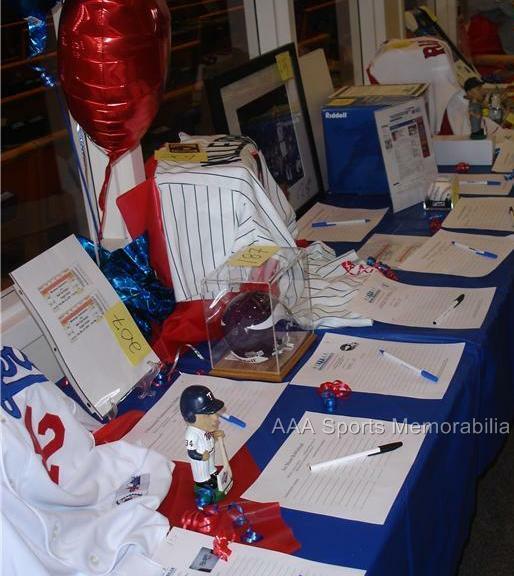 What does AAA Sports Memorabilia LLC need from you to get started on your next fund raising event? - Your name and organization name. - Your contact information such as phone number and e-mail address. - Date & time event is to take place. - Date you need auction items in hand. - Types of auction items that will correspond with the fund raising "theme". AAA Sports Memorabilia LLC will include item choices that represent a wide range of prices that will allow everyone a chance to win an item that interests them. Ready to get started or have any questions? Contact us at customerservice@aaasportsmemorabilia.com or call us at 612-759-3582. We look forward in helping you with your next fund raising event and making it the most successful and exciting one yet! Fundraising Ideas Find School Fundraising Ideas, Free Fundraising Letter, and step by step fundraising guides.